This study examined the association between generalized anxiety disorder (GAD) symptoms and healthcare utilization (HCU) among 801 people living with HIV (PLWH). Participants recruited from community health centers in Florida completed questionnaires assessing demographics, substance use, symptoms of GAD and depression, and HCU. Adjusted binary and multinomial logistic regressions assessed the association between moderate-severe GAD symptoms and past 6-month missed HIV-care appointments, overnight hospitalization, and emergency department (ED)/urgent care visits. Participants reporting moderate-severe GAD symptoms had a greater odds of missing an HIV-care appointment (AOR 2.03, 95% CI 1.28–3.24, p = 0.003), spending 2 (AOR 4.35, 95% CI 2.18–8.69, p < 0.001) or 3+ (AOR 2.79, 95% CI 1.20–6.45, p = 0.016) nights in the hospital, and visiting an ED/urgent care facility 2 (AOR 2.63, 95% CI 1.39–4.96, p = 0.003) or 3+ (AOR 2.59, 95% CI 1.27–5.26 p = 0.008) times compared to participants reporting none-mild anxiety. Depression was associated with fewer ED/urgent care visits and overnight hospitalizations, while no association was found with missed primary care appointments. The role of anxiety in illness management remains understudied among PLWH. 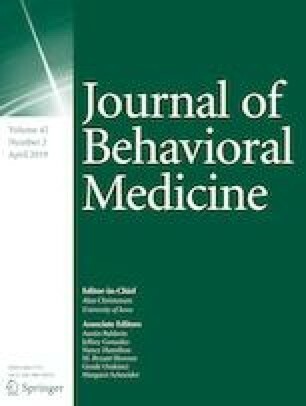 Anxiety identification and the development of interventions for anxiety among PLWH may have important consequences for healthcare cost saving, patient retention in care, and HIV-disease management. We appreciate the contributions of the research staff and the participants who were involved in the Florida Cohort study. We also appreciate the contributions of the staff within the Florida Department of Health HIV Surveillance unit for helping with data on participant HIV viral load. Zachary L. Mannes, Lauren E. Hearn, Zhi Zhou, Jennifer W. Janelle, Robert L. Cook and Nicole Ennis declare that they have no conflict of interest. Florida Department of Health (FLDOH). (2017). Florida HIV/AIDS surveillance program. Retrieved from http://www.floridahealth.gov/diseases-and-conditions/aids/surveillance/index.html.